THE "SOURCE" OF RELATIONSHIPS: The Key to Having Relationships that Exceed Your Expectations with Lovers, Partners, Associates, Friends, and Even Enemies. Product prices and availability are accurate as of 2019-04-21 20:36:57 UTC and are subject to change. Any price and availability information displayed on http://www.amazon.com/ at the time of purchase will apply to the purchase of this product. 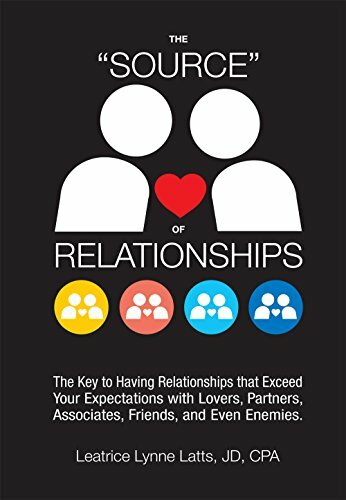 Author Bookstand is proud to offer THE "SOURCE" OF RELATIONSHIPS: The Key to Having Relationships that Exceed Your Expectations with Lovers, Partners, Associates, Friends, and Even Enemies. by Bookstand Publishing. We recommend THE "SOURCE" OF RELATIONSHIPS: The Key to Having Relationships that Exceed Your Expectations with Lovers, Partners, Associates, Friends, and Even Enemies to anyone intested in personal growth. This Book shows you how to attract, create, and maintain relationships that are perfect for you in every aspect! About Source Energy - the life force that we have all felt in moments of great inspiration - the highest form of energy, the fountain of all knowledge and insight, and the strongest force of creation in the Universe. Align yourself with Source Energy for your enlightenment and empowerment. Take control and create your life even better than what you hoped for - and feel good. Step by step deliberately direct and benefit from Source Energy - for you, other people, and to make a positive difference in the world. Discover and release hidden negative programs causing you to do things contrary to what you want and what’s good for you. Take control and improve even your most difficult relationships. Communicate, negotiate, and problem-solve with anyone about anything.